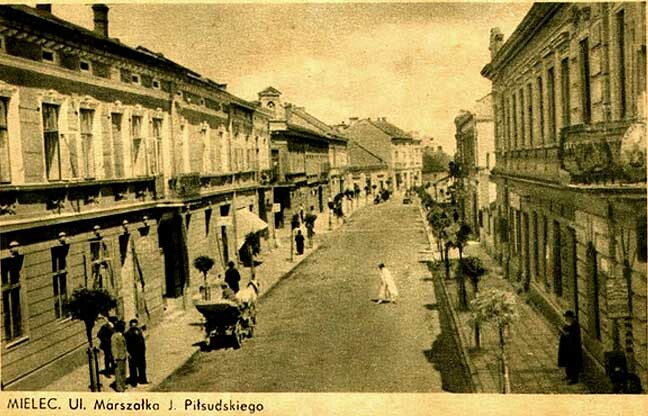 Panoramic View of the Mielec Rynek after it was burnt down. The Towers of the Synagogue can be seen. In 1900 a great fire destroyed all the wooden houses which had given the town its characteristic feature. A short time later new houses of stone were built. The Rynek [Market Place] is clearly visible. View Of Mielec from the top of the Church Tower showing the Synagogue neighbourhood.
" We are in search of Poland Society"